What is phone screen display resolution? What does a 2436x1125 pixel screen mean? 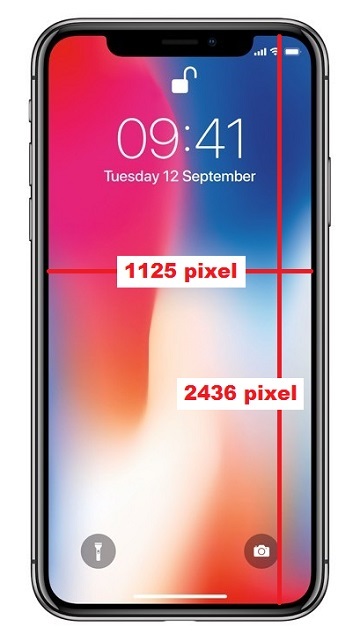 Cell phone screen resolution is measured by the number of pixels the phone can display in both directions. The standard screen resolution of cell phones available today can be anywhere from 960×640 pixels to 2436x1125 pixels. Pixel stands for Picture Element, which is the smallest dot with specific color in a picture. If a phone screen has a resolution of 2436x1125 pixels, it can display a picture with 2,740,500 (2436*1125=2740500) pixels, or 2.7 MP (Mega Pixel). Of course, a phone with higher screen resolution is better, because it can render sharper images.